Baked pasta dishes seems like lasagnas gone berserk. The ingredients are the same but all jumbled together. You get to skip the part where you have to layer carefully. Permission granted to shmush it all together, top with some cheese and call it a day. 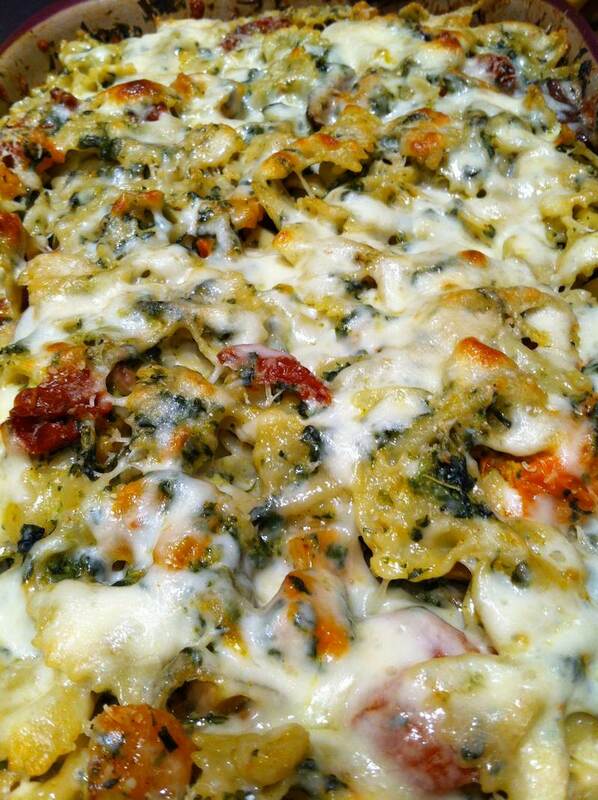 This Squash, Spinach and Shiitake Baked Pasta recipe was fashioned for a work pot luck lunch. Ever since I described the recipe to my mother-in-law she’s been patiently waiting for me to post. So, here it is. Hope you like this Grandma Sara. 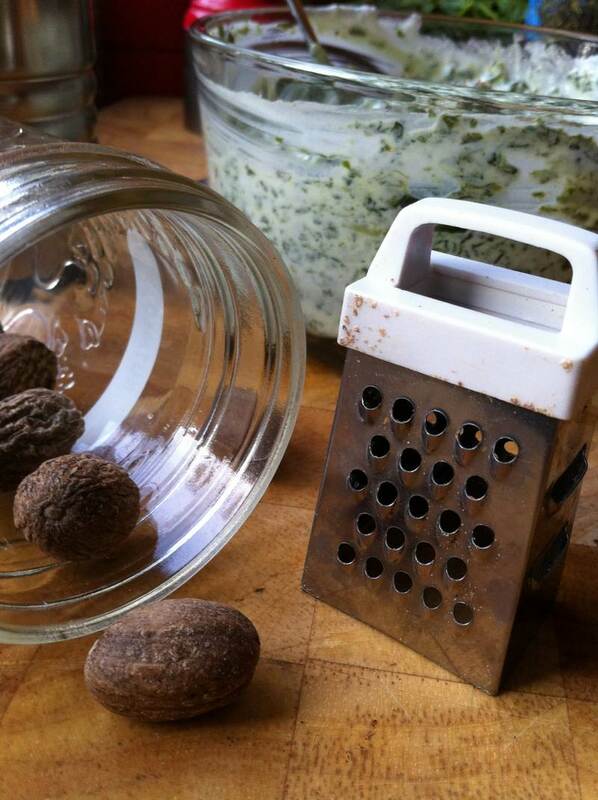 Grate nutmeg into ricotta spinach mixture. 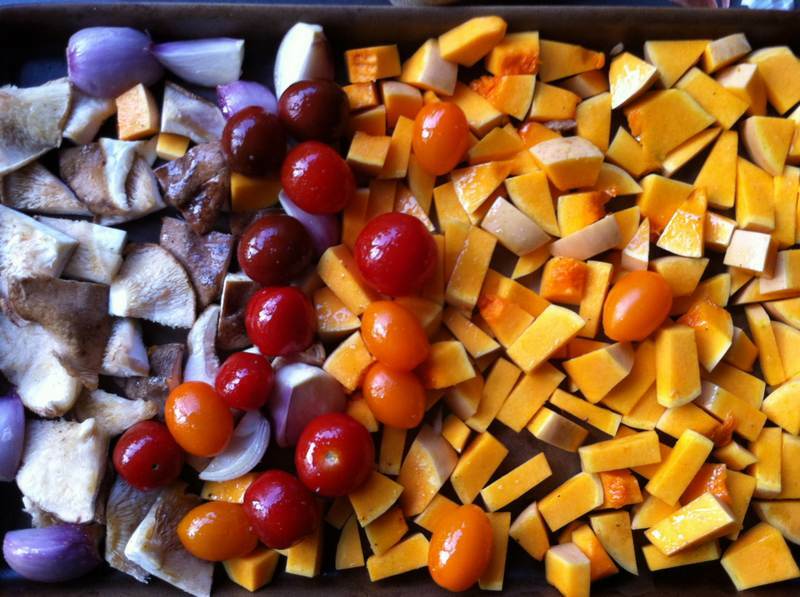 Brush olive oil over vegetables, sprinkling on some salt and pepper, then roast at 420 degrees for about 30 minutes, turning once or twice, removing the ones that get done faster, leaving the squash until last to caramelize. Peel the skin off the garlic. Cut the dry shallot if too large. Use a Pampered Chef Rectangular Baker, or lasagna casserole to mix your pasta, vegetables, ricotta mixture,and mozzarella, reserving some mozzarella for the topping. Top with parmesan and remainder of mozzarella, then bake for 30 minutes at 350 degrees until hot, bubbly and lightly browned. Voilà, a whole meal in one dish. Enjoy with a green salad, crusty bread and a glass of wine. 16 oz should be good. You can really play around with the quantities adding more sun-dried tomato, spinach or cheese.